Celebrating your Hen Party in Newcastle? So, you have decided to have your Hen Party in Newcastle? Good choice! 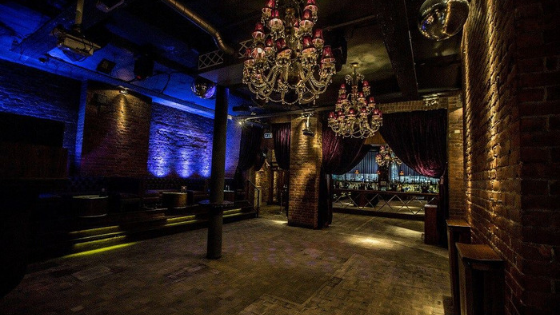 Newcastle is one of the UK’s favorite Hen Party locations and has always been known as one of the top party destinations in Europe. Newcastle has always been a firm favorite for Hen Parties travelling from other areas of the UK and abroad. If you’re bride loves to party, deciding to have your Hen Party in Newcastle is one of the best decisions you will have ever made! With so much to see and do, we’re going to give you a rundown of the best Hen Party activities for you and your excited group of hens. You won’t be doing much sleeping anyway, will you? You and all the girls will have been travelling all morning and you will probably be feeling a little bit peckish. There are so many amazing cafes and restaurants in Newcastle you are literally spoilt for choice….. Starting your Hen Party in Newcastle in style why not head down to Newcastle’s famous Quayside for a delicious breakfast at one of Newcastle’s most popular venues, The Pitcher and Piano Newcastle. 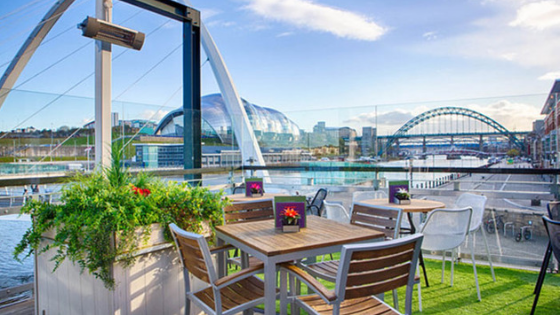 With breath taking views across the beautiful River Tyne, the Gateshead Millennium Bridge, The Tyne Bridge and views across the river to the Baltic Art Gallery – The Pitcher and Piano is the perfect destination to start your Hen Party in Newcastle off in style! You could even treat yourself to a cheeky mimosa or bloody mary to kick off your hen party brunch with a bang! You’re all fed and watered, so now it’s time to get the party started with your very own Hen Party Dance Class in Newcastle. With so many different themes to choose from we’re sure you will find the perfect Hen Dance Class that you, and most importantly the Bride to be will love. Here at City Dance Parties have a number Hen Party dance classes available in Newcastle’s best Hen Party venues. Choose from a 90s hen party dance class, go back in time with the roaring 20s Hen Party dance class, Learn your favorite moves from the all-time Classics Dirty Dancing & Grease, or bring out the inner child in you with our popular Disney Hen Party Dance Class. The perfect hen party activity to get everyone livened up, and ready to P-A-R-T-Y! Depending on the type of Hen Party this is, and how much time you have over the weekend some of your group may want to head off and see some of Newcastle’s visitor attractions! 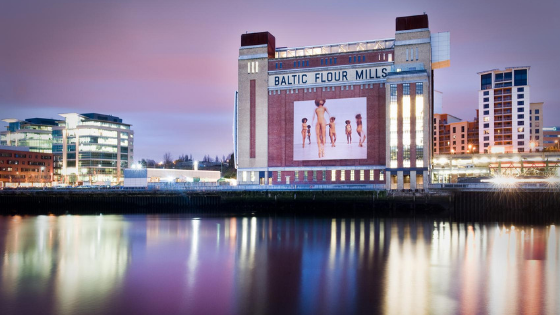 Why not head on down to the Quayside for a stroll along the River Tyne, venture into the Baltic Centre for Contemporary Art (race up to the viewing gallery at the top for the best view of the quayside!) head back over the water to Newcastle Castle, pop into Newcastle Cathedral or head on down to The Centre for Life at Times Square. Why not take a look at the Newcastle Gateshead official tourism website for a detailed overview of must see visitor attractions in Newcastle. After all of that dancing and having fun you and the girls we need to refill get those energy levels back up as the night is still young. Why not try brunch with bottomless Prosecco which is available and a number of Newcastle’s best venues. Newcastle has a lot of bars, restaurants and hotels that provide brunch with bottomless Prosecco so our best advice would be to call the venues direct to book or you can use a reputable hen and stag agency who will do all the hard work for you. 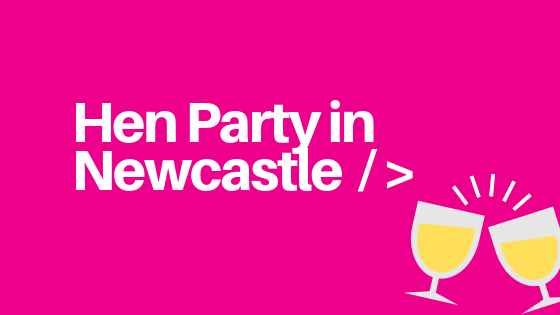 Energy levels topped up and raring to go, Newcastle is famous for it’s bars and clubs so why not get the girls together and head off into Newcastle on a Hen Party bar crawl. Newcastle is split up into a number of smaller areas consisting of the Quayside, Collingwood Street, Grey Street, The Gate, The Diamond Strip, and The Haymarket – if you wanted to venture just outside Newcastle City Centre you can go to the leafy Suburbs of Jesmond, where you’ll find tons of bars on the trendy Osborne Road (a favorite of Geordie Shore’s back in the day!). After the bar crawl your group will more than likely want to finish the night off in one of Newcastle’s late night bars or clubs in the city centre. Some of Newcastle’s most popular clubs for Hen Parties include House of Smith on Newcastle’s Collingwood Street, Madame Koos on Collingwood Street, the party venue Tiger Tiger Newcastle up at the Gate, Flares on Mosely Street, where you can dance the night away to some cheesy 90s hits, Digital Newcastle (which was once voted the 13th best club in the world!) or you could even head on down to the Powerhouse Newcastle which is open until 5am! 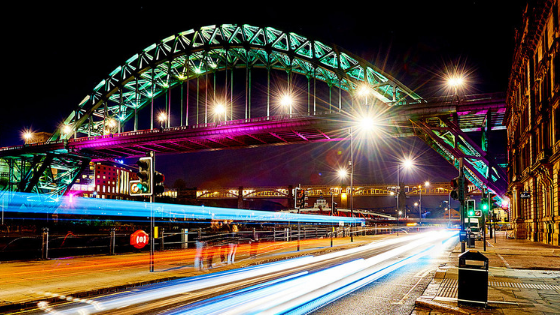 Known across the world for its party culture there is so much to see and do in Newcastle. The Quayside and it’s many bars and restaurants, the stunning Baltic for Contemporary Art, Newcastle’s very own Castle and the very popular shopping destinations Northumberland Street and Eldon Square. You and your hens will simply be spoilt for choice during your Hen Party in Newcastle so make sure you plan well in advance.